After a contentious debate, City Council finally passed a resolution I co-sponsored requiring City Council Committee meetings to be live-streamed on the internet. This adds transparency for taxpayers to observe their elected representatives and brings greater accountability to every level of Council. I co-sponsored Alderman Reilly's (42nd) resolution, which also had support from the Better Government Association, the Civic Federation, and the League of Women Voters of Chicago. 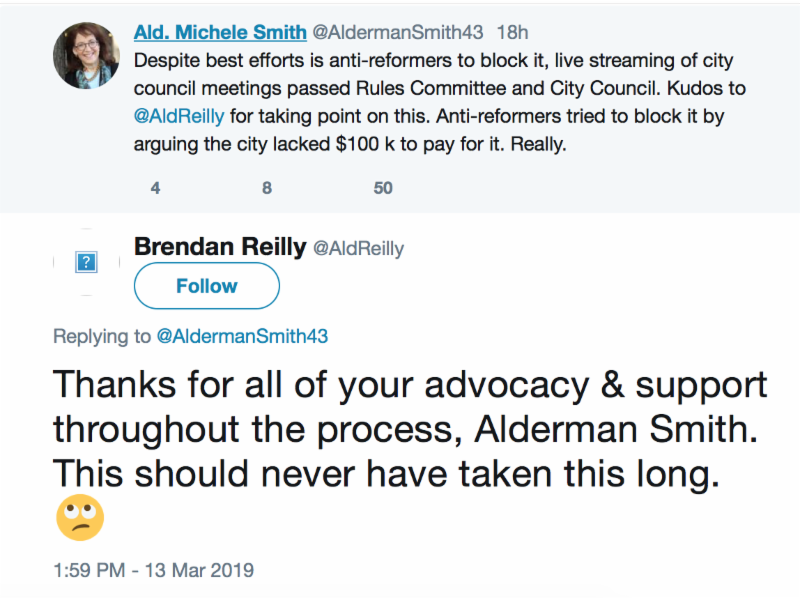 Allowing Committee meeting debate to be observed in real-time has been a fight waged by several reform-minded Aldermen for a long time. We believe this will immediately impact how our colleagues discuss and vote on issues. In January, I introduced an ordinance seeking to ban Committee Chairs from "loaning out" committee staff to various ward offices. 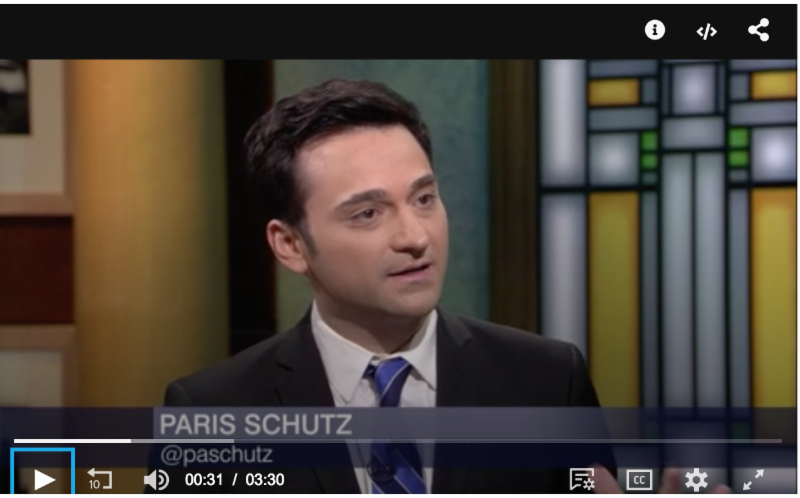 WTTW ran a story detailing how former Finance Chair Ed Burke (14th) has gifted several Aldermen extra resources in their Ward offices, leading to potential undue influence. (Click the photo to link to the story). Inspector General Joe Ferguson blasted the practice as “a way for aldermen to be indebted to Burke for a favor, and a way for Burke to have one of ‘his’ people on the staff of an alderman that can report back to him,” Ferguson said. At the March 14th CAPS meeting, 18th District Commander Dan O'Shea said he is dramatically increasing resources, both tactical (unmarked cars) and patrol to Old Town. This is based on our request to specifically study crime in the Old Town boundaries with a focus on robberies. In the overall area, covering beats 1811/12/13/14 (Lincoln Park between North Avenue and Fullerton), statistics were down. In beat 1932 (Wrightwood Neighbors), police reported two burglaries in two months in the 43rd Ward portion of the beat, and one robbery. It appears the 19th District focus on robberies is yielding results. 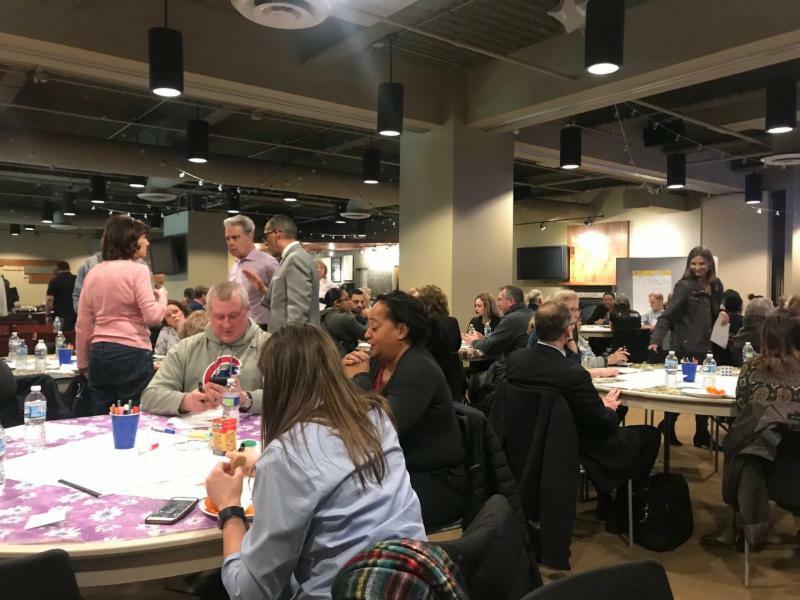 Over 100 participated last week in a "Community Conversation" with the 18th District Police to discuss community policing - part of the process required by the new CPD consent decree reforming the department. Among the key ideas considered was my suggestion to make CAPS meetings more internet accessible and keep them relevant with a floating schedule when problems arise, instead of a fixed calendar. Heartfelt thanks to all who attended. It is gratifying to announce that the Chicago Public Schools and the Chicago Park District have an initial plan for a new turf field for Lincoln Park High School football, soccer and other field sports. 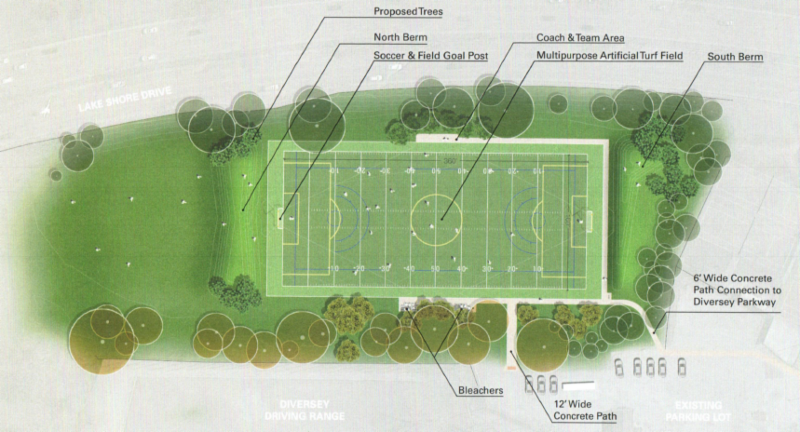 The new field will be located just east of the Diversey Driving Range. The preliminary plan, shown above, features a full sized field, bleachers and easy access to parking at the existing lot. Existing restroom facilities are near the adjacent driving range. CPS will increase the high school bus budget to ensure that athletes can readily get to the field. In addition to Lincoln Park High School sports, the field will also be available to the community in general at all other times. This is part of a larger project which includes fixing drainage in adjoining areas of Lincoln Park, and adding naturalized areas near the Barry Street underpass. We will be coordinating meetings with Lincoln Park High School sports and the Park District to ensure that the field meets the needs of our students. Construction of the field will begin as soon as plans are finalized, with the goal of opening for fall athletics. Until then, our teams will continue to use the Near North Field at North and Larrabee for practice. This culminated a multi-year effort to find a location and resources to build a field since there is no more available land in the 43rd Ward to build recreational facilities. Thanks to CPS, the Park District and the Mayor's Office for working together to help us win this for the high school and the community. A very special thanks to our neighboring Alderman Tom Tunney (44th), in whose Ward this field will be located, for supporting our vision - and understanding that our students and neighborhood athletes need space to play. We are very excited to announce this new era for the Lincoln Park Lions football, soccer and other field sports. Go Lions! For the April 2 Run-Off Elections , Chicago voters may use any Early Voting & Registration location in the city from March 18 through April 1. If you want to vote by mail, PLEASE apply by March 20 to ensure your ballot arrives in time. You can apply here . Please check the Board of Elections here for more information. 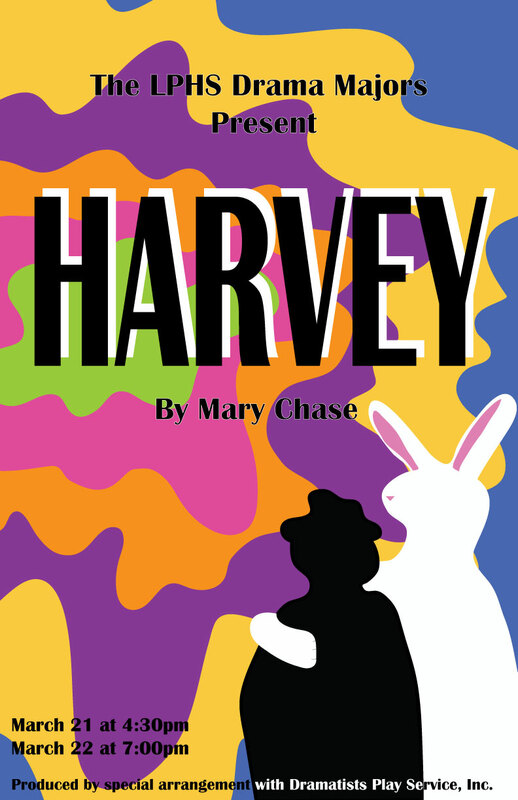 Please join our award-winning drama program in a performance of this much-loved family-friendly play about a man and his very close, but possibly imaginary, friend. Performances will be on Thursday, March 21st at 4:30 p.m. and Friday, March 22nd at 7:00 p.m.
Want to learn more about what's going on at Lincoln Park High? Please click here for their latest newsletter. 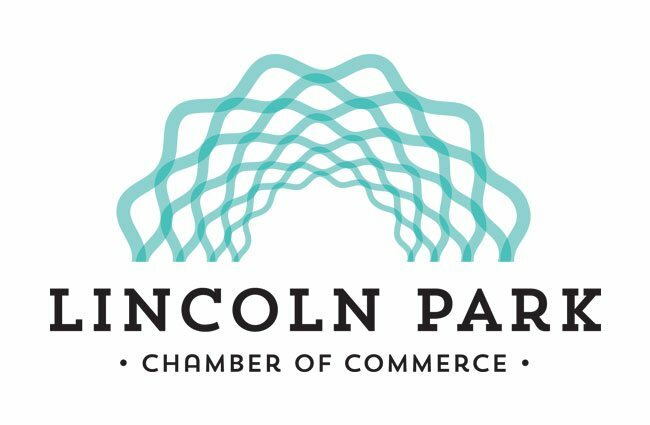 The Lincoln Park Conservancy and the Chicago Park District need enthusiastic people to join their team of docents and greeters to welcome visitors, offer tours and share knowledge about the Lincoln Park Conservatory and Gardens and the Alfred Caldwell Lily Pool. Docent training begins March 30 and continues six (6) Saturday mornings in April and May. 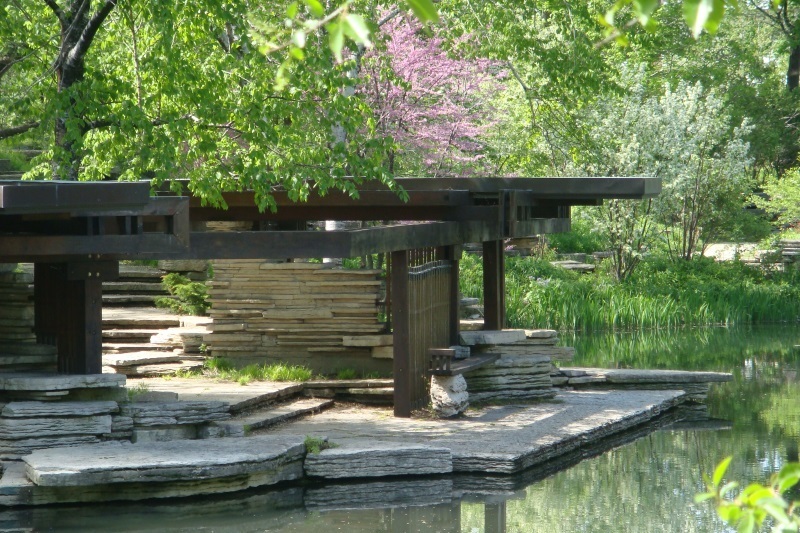 Learn from the experts about the plants, wildlife, architecture and history of Lincoln Park. Greeters will be trained for one-day. Join Sgt. Chris Schenk, Chicago Police, and Charles DuShane, US Department of Homeland Security, in learning how to identify, prevent and be safe in an active threat situation. Thanks to Wintrust Bank for hosting this important, timely event. Light refreshments will be served. Free admission. Please RSVP to Amy Lemar at 312-291-2918 or at alemar@wintrust.com. Looking for something to do this weekend? Check out the Chamber's calendar of events here. Hope your St. Patrick's Day was great and green. Think Spring.